Kingscote, Kangaroo Island was originally established by the South Australian Company at Reeves Point in 1836. The first European settlers arrived on board the "Duke of York". 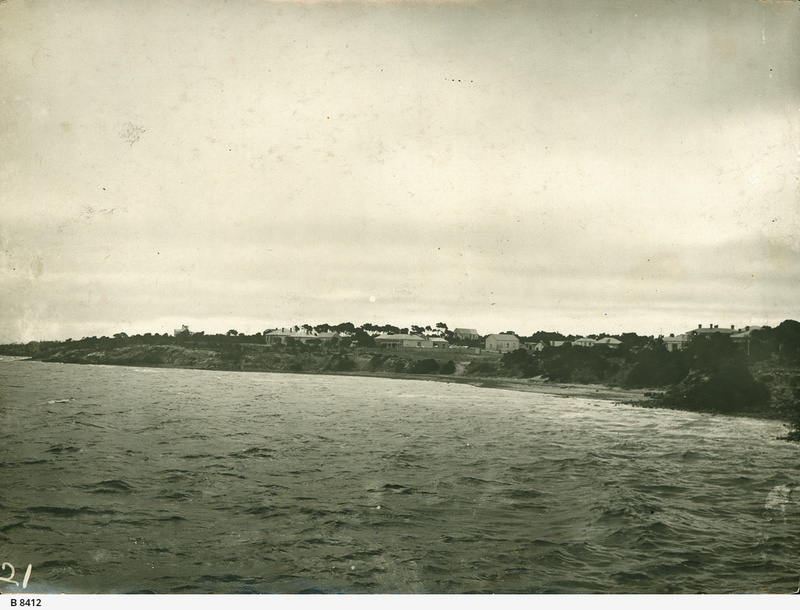 This photograph shows a collection of houses and a church on top of a low cliff facing the sea.